Add a package of gelatin to your normal shampoo. Shake well until dissolved. Wash hair as usual and rinse to make hair instantly thicker. Gelatin coats each strand and adds texture. For a more intense treatment, dissolve gelatin in a cup of warm water, let form a light gel and work into the scalp and hair. Allow the gelatin to dry and then shampoo as usual. Beat a raw egg and massage into the scalp. With a wide tooth comb, work through the entire length of hair to ensure that it saturates each strand. Eggs contain vitamins A, D, and E as well as a variety of B vitamins and protein. luster and thickness for brittle hair. Honey is a simple treatment for dull and thin hair. Honey is extremely thick and sticky, so the application process may take some practice. Use a squeeze bottle and apply throughout the hair. Once you have poured the desired amount of honey, massage throughout hair to ensure that each strand is saturated. Pin hair on top of the head and leave in for 15 minutes. This sticky hair mask will rinse out easily in the shower. Honey is full of nutrients that revitalize and strengthen brittle hair and give it texture and body. Honey will highlight hair over time, so brunettes can use molasses for the same results without the lightening effect. These vitamins and protein are essential for hair strength and protection. Vitamin A regulates and increases sebum production in the scalp to keep hair from becoming brittle, vitamin D is a treatment for thinning hair, and vitamin E repairs damaged hair follicles on the scalp that cause hair to grow thin. Protein protects and thickens the hair all the way to the tips and prevents split ends. Rinse well with cool water so the egg does not cook. This method also helps dandruff. Banana and avocado together make a great hair pack for thin hair. Bananas contain potassium and vitamin A, which clarifies and regulates the moisture balance in the scalp. This is important because an unhealthy scalp could be the cause of thinning and brittle hair. Avocados also have vitamin A but are also rich with protein, B vitamins and vitamin E. Mash 1/4 of a banana and 1/4 of an avocado until it becomes a smooth creamy spread. Apply to the scalp and the entire length of hair and cover with a shower cap. Leave the hair pack on for 20 minutes and rinse well. Shampoo as usual. Hair will be stronger and healthier, and the scalp will feel clean. Beer contains protein and sugar to give hair an instant lift. Beer can be poured on the hair even if it is stale. Use as a rinse after shampooing. Do not be concerned about the beer smell, it will evaporate shortly after application. Thinning hair, excessive hair in the drain and balding patches all evoke an emotional response. However, emotional losing your hair may be, you must find out what is causing your hair to fall out before you can reverse the condition. Unfortunately, cases of hair loss are not cut and dry. There are many causes of hair loss and you must narrow in on your particular cause or causes before you will have any clear answers. Male and female pattern baldness is hereditary and accounts for more than 50 percent of hair loss in males over the age of 50 and 40 percent of females over the age of 50, according to HairLossExpert.com. Male and female pattern hair loss can strike at any age and follows distinct patterns. Males begin to recede at the hairline and thin out at the crown. Females are thin on top of the head and do not experience any recession. While most cases of hair loss can be blamed on your parents, you should rule out medical causes with the help of your physician. Be sure to read the side effects for all of the medicines you are currently taking. Many cause hair loss. Medications used in the treatment of gout, depression, heart disease, blood pressure and arthritis can cause hair loss as stated by MayoClinic.com. Other types of medications commonly cause hair loss and changes in the overall condition of your hair as well. Chemical and styling abuse wreak havoc on a healthy head of hair. 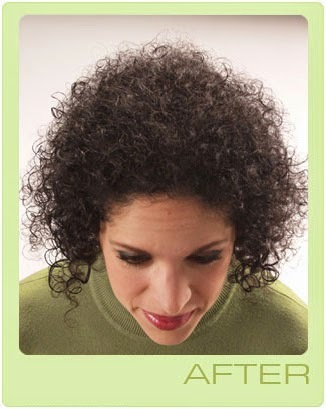 Over-processed hair, hair that has undergone too many chemical procedures, commonly falls out by the handfuls. If you have recently colored, permed or straightened your hair, your hair loss might be attributed to abuse. In addition to thinning and falling out, damaged hair feels spongy and takes longer to dry. Tension from tight styles, such as cornrows, ponytails and updos, weakens and breaks hair. You may notice hair loss for a few weeks after taking down a tight style. But sometimes they can have unwanted side effects. Certain drugs can contribute to excess hair growth, changes in hair color or texture, or hair loss. Like good health and youth, most of us take a thick head of hair for granted -- that is, until it is gone. For many people, hair transplant procedures can help bring back the appearance of a full -- or, at least, fuller -- head of hair. How Do Drugs Cause Hair Loss? Drugs cause hair loss by interfering with the normal cycle of scalp hair growth. During the anagen phase, which lasts for three to four years, the hair grows. During the telogen phase, which lasts about three months, the hair rests. At the end of the telogen phase, the hair falls out and is replaced by new hair. Telogen effluvium is the most common form of drug-induced hair loss. It usually appears within two to four months after taking the drug. This condition causes the hair follicles to go into their resting phase (telogen) and fall out too early. People with telogen effluvium usually shed between 100 and 150 hairs a day. Anagen effluvium is hair loss that occurs during the anagen phase of the hair cycle, when the hairs are actively growing. It prevents the matrix cells, which produce new hairs, from dividing normally. 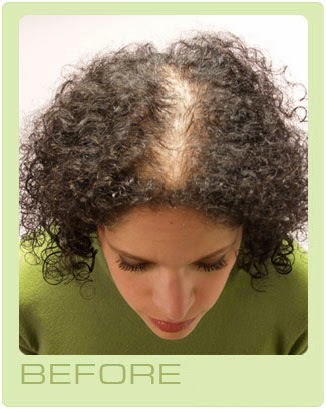 This type of hair loss usually occurs within a few days to weeks after taking the medication. It is most common in people who are taking chemotherapy drugs for cancer and is often severe, causing people to lose most or all of the hair on their head, as well as their eyebrows, eyelashes, and other body hairs. If you suspect that your hair will begin to re-grow and are self-conscious because of your thinning hair Hair-Tek Hair Building Fibers will conceal your balding areas until your hair begins to grow again. We offer a money back guarantee if you are not satisfied so what so you have to lose? Hair-Tek hair building fibers are the best hair building fibers on the market. All of our products are made in the USA and ship worldwide! We offer the only hair building fiber made in the USA!